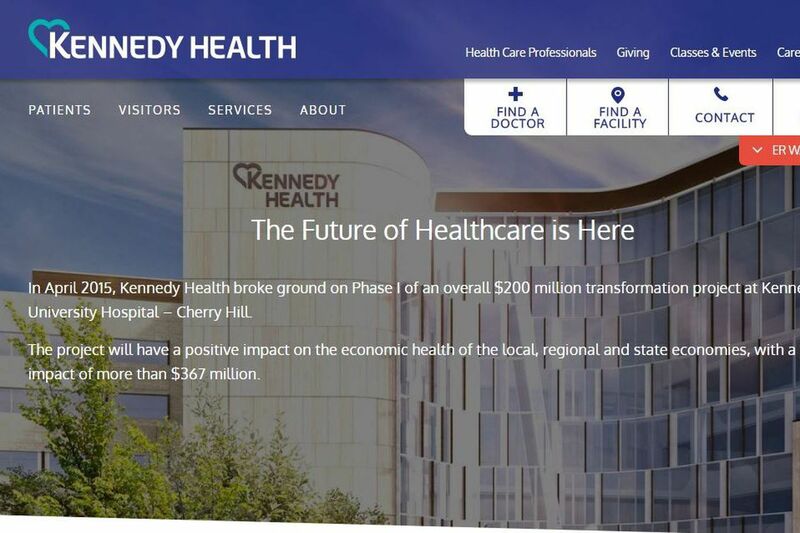 A screenshot of the website for Kennedy Health, which is finalizing its merger into Jefferson Health Thursday. Leaders of Thomas Jefferson University and Kennedy Health are scheduled Thursday afternoon to announce the completion of a deal that will make Kennedy "the southern New Jersey core of Jefferson Health," according to a media advisory. The acquisition by Jefferson was originally announced in January 2016. The two nonprofits signed a definitive agreement 13 months ago. It is the fourth deal for Jefferson since Stephen Klasko became president and chief executive in 2013. Also acquired were Abington Health, Aria, and Philadelphia University. In February, Jefferson said it had a preliminary deal to make Magee Rehabilitation Hospital part of its system. For the fiscal year ended June 30, Jefferson reported $3.95 billion in revenue. It had 20,448 full-time-equivalent employees. Revenue at Kennedy, which operates on a calendar-year basis, was $611 million in 2016. Kennedy employs 4,900. This is high season for deal-making in the hospital industry. Pending hospital and health system deals in the Philadelphia region include: the University of Pennsylvania Health System's acquisition of Princeton HealthCare System; Tenet's sale of Hahnemann University Hospital and St. Christopher's Hospital for Children to Paladin Healthcare; Cooper University Health Care's acquisition of Lourdes Health System; and Reading Health System's purchase of five local hospitals from Community Health Systems (Pottstown Memorial Medical Center, Pottstown; Brandywine Hospital, Coatesville; Phoenixville Hospital, Phoenixville; Jennersville Regional Hospital, West Grove; and Chestnut Hill Hospital, Philadelphia). On Wednesday, St. Luke's University Health Network of Bethlehem said it had an agreement to acquire Blue Mountain Health System, which has two hospitals in Carbon County.